If you want to be sure to pair up wine and food adequately when friends are coming round, your best option is to let your friends bring the wine! But choosing wine is not as difficult as it seems! 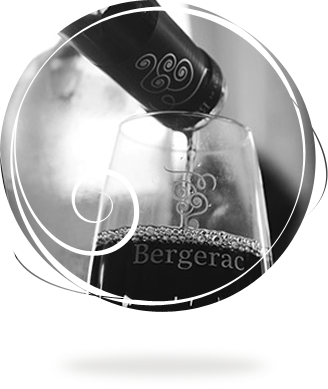 If you have a wild imagination, do not hesitate to pair up any dish you like with the Bergerac wines you prefer! 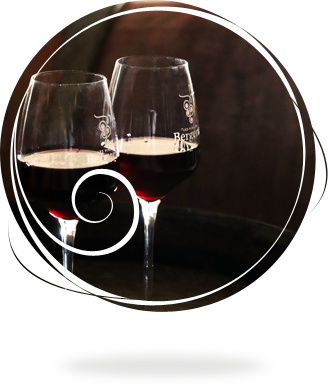 Serving wine is above all a convivial moment, so keep it simple! Take charge and serve the wine how you want to. A bottle of red wine is generally opened 15 minutes before being drunk. On the 16th minute, throw it away! Another recurring question is the serving temperature! Rather chilled for white and rosé wines (8°/10°), and 16°/18° for red wines. The order in which you serve wine may vary, but do try and avoid mixing wines! The first wine served should always be less pungent than the second, and so on, until you stop! White or rosé at the beginning, then red at the end. Light wine before robust wine, and youth before beauty! Stem glasses are good, but as far as flutes are concerned, keep Plato in mind: “Ignorance, the root and stem of all evil”. At the end of the day, serve your wine in the glasses you have: small or large, wide or narrow, they will all be adapted to a party atmosphere.